All over Delhi, from the busiest freeways to the most crowded markets you can see bicycle rickshaws plying their trade. This type of rickshaw has many benefits over other forms of Delhi transport not least the serene nature of the journey itself which brings involuntary smiles to the passengers. 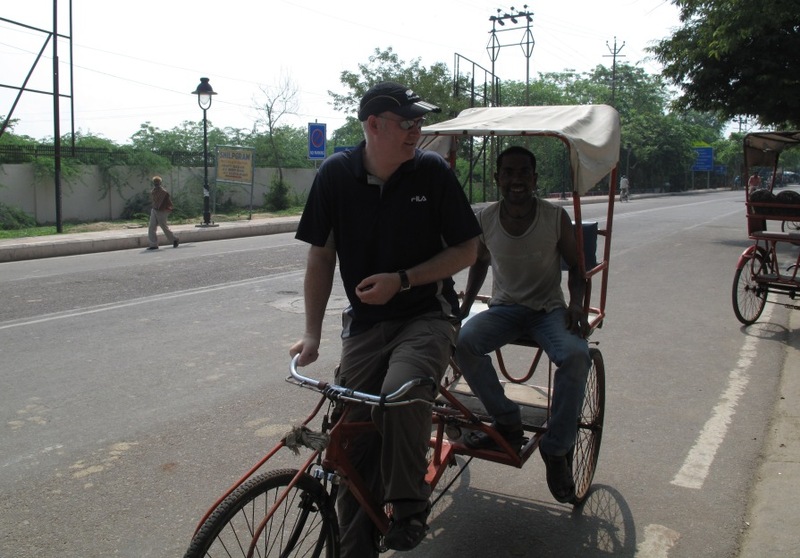 Always wanting to reach a deeper level of understanding the AIG sent Kiwi out to investigate further which resulted in an ecstatic rickshaw owner finding himself being peddled around the market by what he could only assume was an insane tourist. The verdict “this is a bloody hard job”. This entry was posted in Transport, Travel and tagged Bicycle Rickshaw, Delhi, India, Transport.